When you think of armored vehicles, what comes to mind? Most people would say luxury vehicles of high-end brand names including Range Rover, Lexus and Mercedes. Some would recall police cruisers and military vehicles such as BATT’s. Would anyone think of a bus? At least five shootings in the United States have been towards or within a passenger bus, and the majority of these shootings ended in fatalities. Several articles have surrounded these shootings, and among them, the topic of security was discussed. Seattle once tested shields around the driver to protect them in case of similar emergencies, but they later discontinued their use due to reflection glare. While drivers are of importance, passengers deserve to be protected as well. 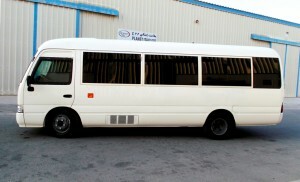 Many countries overseas resort to armored passenger buses to ensure safe transportation of people. Security directives are different overseas than across North America. Although other countries experience different security threat levels than the U.S., violence is still violence, and shootings almost always end in serious injuries and/or fatalities. 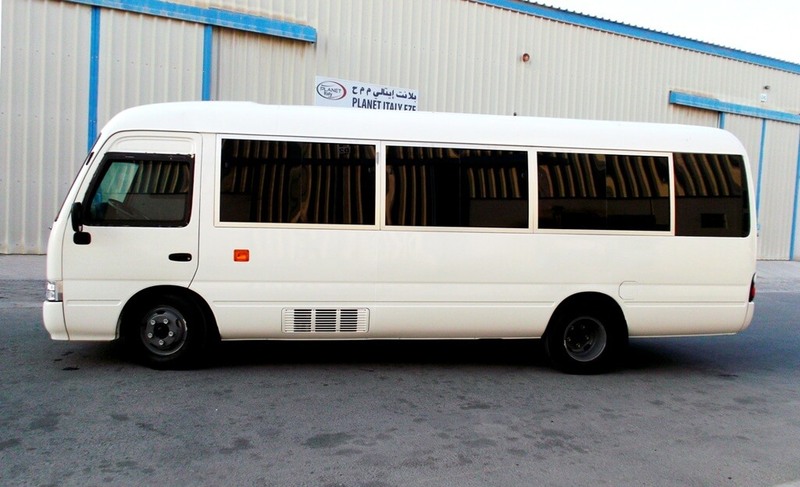 The Armored Group (TAG) recently completed armoring a Toyota Coaster bus, suited to transport up to 30 people. Armored buses are a larger scale of armored vehicles such as SUVs or luxury sedans. They transport a wide variety of people both stateside and internationally. These individuals range from elite businessmen, prisoners, national and international sporting teams and other high profile clientele. When a vehicle is transformed with reinforced protection, armoring companies offer different packages to best suit the specific vehicle and client. With public service vehicles such as police cruisers, the steel plating will be thicker to armor against larger sized bullets, and extra features such as strobe lights and floor blast protection could be included. For elite clients or those with high security clearances, the level of armor is designed to protect against a higher intensity of potential destruction. These types of clients typically purchase luxury vehicles, and the armoring package for these generally includes a reinforced vehicle frame that compensates for the extra steel plating on the vehicle’s exterior and tire protection. Optional features that these clients could also benefit from are key component protection for the gas tank, radiator and battery. Bullet-resistant glass is another option that potentially protects passengers, but it is not foolproof. Other optional accessories a passenger bus could benefit from include smoke screens, and fuel and/or battery protection. Smoke screens are crucial in aiding getaway driving by blinding any shooters from behind or alongside the bus. Armored vehicle protection is essentially meant to protect passengers. The vehicle will still sustain damage, but damage can be replaced, whereas human lives cannot. Interstate and international security is an issue to be looked at more closely, and buses are not excluded. If armored vehicle protection is something you are considering, or if you are looking to travel by bus, ensure your vehicle or bus is armored to protect your life. The Armored Group of Phoenix, AZ is an armored vehicle company originating in the cash-in-transit industry. From there, we received requests to design and support those needing tactical, public service and luxury vehicle transformations. 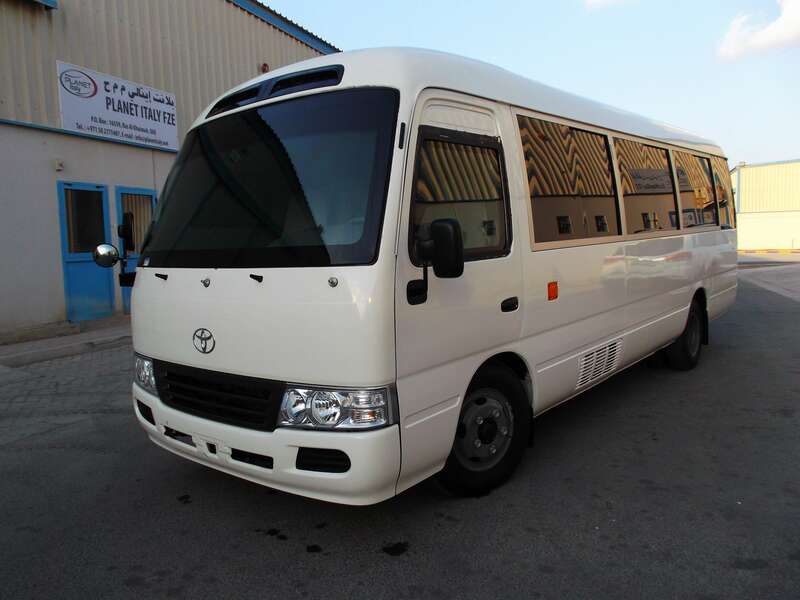 Our recent assignment for a Toyota Coaster bus has opened our business to an entire new facet. If you would like more information into armored vehicle protection, please take a look at our website or give us a call at 855-824-7233 (855-TAG-SAFE)! Prall, Derek. 21 August, 2013. “Seattle Shooting Ignites Debate on Bulletproof Buses.” American City and Country. Retrieved December 12, 2013 from http://americancityandcounty.com/public-transit/seattle-shooting-ignites-debate-bulletproof-buses.